It’s frankly amazing that Black Stone Cherry are still doubted to the extent they are. A lot of that comes from the stigma attached to their ultra-American brand of arena-rock, but time and time again, they’ve managed to run streets ahead of the competition with an ever-likable southern rock sound, and by just doing it better than everyone else. The fact that they’ve never released a bad album speaks volumes with regards to a band in this vein (even last year’s blues covers EP was still good, if a bit forgettable), and on 2016’s Kentucky, the push into far heavier territory hinted at a band with much more in their locker than they’re frequently given credit for. That said, the best moments on Kentucky were where Black Stone Cherry dug back into their groovier, more rustic southern roots which they’ve always excelled at embracing, so to see that’s returned as the primary strain of influence on Family Tree is definitely a good thing, particularly when the band have always rolled with its ideas of big, dumb fun rather than any unnecessary subversion. And just from the infectiousness and swaggering bravado this album flaunts so brazenly, it’s so easy to see how Black Stone Cherry have gotten to where they are today – within the parameters of modern hard rock, there’s not a band around that makes albums as enjoyable as this. That’s saying quite a lot considering how rigidly Black Stone Cherry adhere to their southern rock style, but on Family Tree, it’s supercharged to a point which circumvents any critical faculties and shoots directly for the joy receptors. Just take the instrumentation for a start – on the surface it’s fairly by-the-books in the vein of burly, groove-driven riffs, but Black Stone Cherry consistently play to a standard of such immense quality, as well as avoiding anything too clean whatsoever to protect the authenticity and genuine heft it can produce. There’s a power to tracks like Burnin’ and Southern Fried Friday Night that utterly rampages through some truly monstrous grooves, and even when new elements are implemented like the boogie-rock pianos of New Kinda Feeling or the horns and gospel vocals of the totally incredible James Brown, they only add to the experience rather than displace anything else. And tying all of this togethe is Chris Robertson’s vocals, which are really no different from any previous Black Stone Cherry release – enormous, unburnished bellows that draw from as equally from a rich source of soul as they do rock – but they don’t really need to be. There’s a colossal personality in his delivery, exponentially so compared to the post-grunge clones this band are often roped in with, and it lends the likes of Ain’t Nobody and I Need A Woman an irrepressible sense of swing and fun that’s direly missing from so much music in this vein. And even when he’s not at his strongest, there’s almost always a contingency plan to make up for it – Carry Me On Down The Road breaks into a sizzling southern rock center to offset a slightly middling vocal performance, while on Dancin’ In The Rain (probably Robertson’s weakest effort here), the heavy lifting is handled by Gov’t Mule’s Warren Hayes who fits on the track ridiculously well. It’s a good thing that’s the case as well, because there’s not a great deal to dig into in terms of content here. But again, there doesn’t have to be; Black Stone Cherry may be playing with tropes of whiskey, women and living life as a good ol’ boy down south, but when it’s as overflowing with charisma and passion as it is here, there’s no point in complaining. To be fair, it does feel as though similar ground is retrod a little too often, particularly towards the end, but otherwise, you’ve got Robertson belting his lungs out on Bad Habit and James Brown as if they’re the most crucial pieces of music ever recorded. On the other side of the coin there’s My Last Breath, a soulful, horn-and-gospel-backed ballad dedicated to Robertson’s young son, and plays to the earnest, heartfelt sensibilities that Black Stone Cherry’s slower material always had, and coming from here, it sounds so much rich and genuine. That’s the beauty of Black Stone Cherry – they aren’t changing the world by any degree, but in the sterile, unfeeling world of modern hard rock, to have a band willing to play with real emotion and drive rather than a shiny pastiche of each will always prevail. And Family Tree certainly does prevail, one of Black Stone Cherry’s best albums to date simply by homing their skills to such a fine point. Because this is pretty much as good as modern hard rock gets, blessed with groove, levity and the wild atmosphere the genre’s best has frequently captured. As long as Black Stone Cherry keep this up, they’ll continue to be a welcome addition to the modern rock scene. 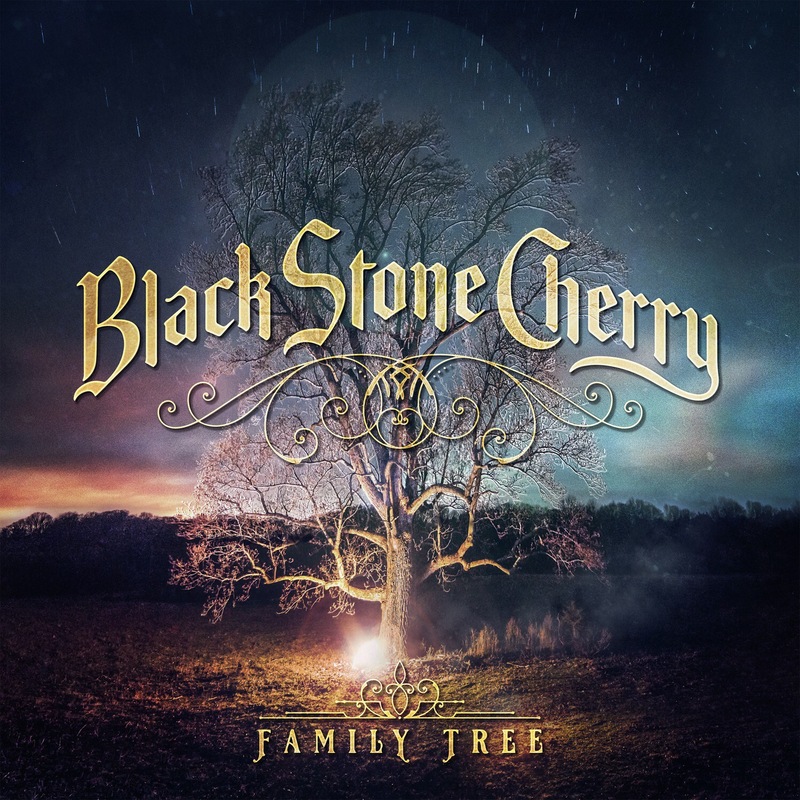 ‘Family Tree’ by Black Stone Cherry is out now on Mascot Label Group.